It's been a busy autumn for the Rampion offshore wind farm, with the last of 116 turbines installed in September 2017, the announcement of a £4 million community fund and local visitor centre in early November, and the first power generated just before midnight on Sunday 26th November – a significant moment! We are thrilled to have now achieved the major milestone of the first power being generated at Rampion, with two turbines now turning and generating electricity to the grid.Over the coming weeks and months, the turbines will one-by-one be energised and generate power as they come online, until the wind farm is completed later in 2018. Once in full operation, Rampion will generate clean, green electricity for the annual average equivalent of 347,000 homes, that’s around half of all the homes in the whole of Sussex! If you would like to take a closer look at the wind farm, there are a number of charter vessel operators for hire in local ports and marinas, who can take visitors out to see the wind farm which will benefit local businesses. Operators are aware of their duty of care, construction activities happening and the safety exclusion zones in place. If a boat trip doesn’t appeal this winter, then you can take a closer look at the wind farm through one of our Rampion telescopes installed along the Sussex coast from Seaford to Worthing. You can also see the story of the wind farm’s construction by viewing the new video as well as seeing other videos here too. From mid to late 2018 however, everyone will have the opportunity to get to know the wind farm through the new Rampion visitor centre, which will be located in the newly refurbished arches on the Brighton seafront near the West Pier.The arches are currently being let, rent free, to local artists while Rampion finalises its exhibition plans for the space prior to installation. The centre will be freely available to all and will tell the Rampion story, including a focus on schools in Sussex to give students the opportunity to support their studies. 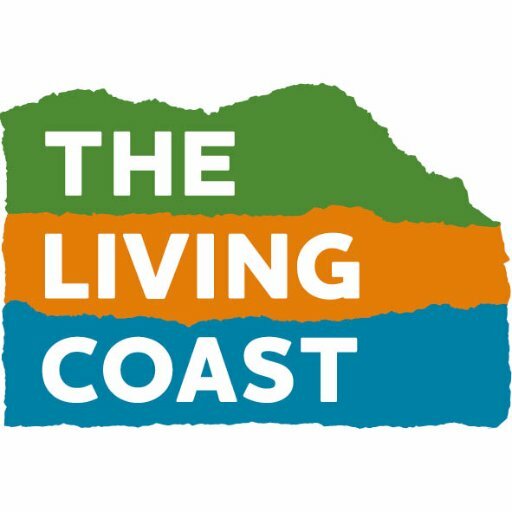 It will serve to raise awareness about climate change, renewable energy and the local environment of The Living Coast both on land and at sea, and so help to support TLC’s objectives to connect people and nature here we believe. three blades, each measuring 55 metres in length, which were hoisted and connected one at a time. Completion of the 116 turbine installations in just six months was a remarkable feat and on a clear day, you can now see all the physical components visible above sea level, representing the full final extent of the wind farm. Since the spring we have also completed the laying and burial of all 112 kilometres of array power cables, which if laid end to end would reach from Brighton to London and back.These cables connect the turbines to the offshore substation, before transporting the power to shore. On land, reinstatement has started at Brooklands Pleasure Park where the power comes ashore, using specialist turf on the Par 3 golf course and the section north to the railway.The sensitive chalk grassland at Tottington Mount, the highest and steepest part of the cable route, has also been reinstated.With the winter conditions now upon us, the outstanding reinstatement of the cable route and the substation environment will recommence in spring to bring the land back to its former condition, and this is very much our priority for 2018.